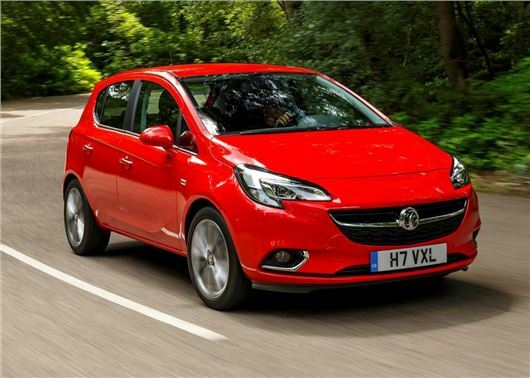 Vauxhall has confirmed the engines and specifications for the new Corsa ahead of its official launch at the Paris Motor Show in October. The engine range will include Vauxhall’s three-cylinder Ecotec engine, with either 90PS or 115PS. Both of the turbocharged 1.0-litre Ecotec engines will pull strongly, with 170Nm of torque from just 1800rpm. Start/stop technology will be fitted as standard too and the 90PS version will return a claimed 54.7mpg. Two naturally-aspirated petrols will also be offered, with a 1.2 and 1.4-litre with 70PS and 90PS. As well as the six petrol engines, Vauxhall will also offer two diesels, in the form of the 1.3 CDTi with 75PS and 95PS. Both diesels come with start/stop technology as standard. Vauxhall tell us the 95PS will be the most frugal unit, combed with a braking energy recuperation system to return a claimed 87.8mpg and 85g/km of CO2. The Corsa will be offered in three and five-door models and the cabin will include a new dashboard layout, with updated instruments and touchscreen infotainment. Safety kit will include high beam assist, lane departure warning and a reversing camera and Vauxhall is also promising improved levels of luxury and comfort, so expect the options list to include panoramic glass roof and heated seats. There's no details about pricing yet, but expect the new Vauxhall Corsa to start at £8700 when it reaches the UK in late 2014 or early 2015.